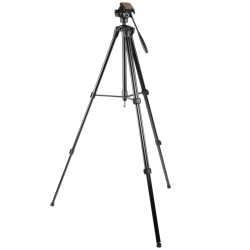 The walimex FW-3970 Semi-Pro tripod with panhead is targeted at ambitious beginners, who want to upgrade from their basic tripod. Are you one of them? 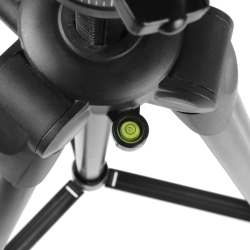 Then the high-quality tripod by walimex is definitely the right choice for you. 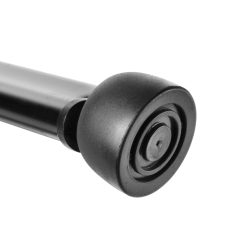 The tripod is not just high-quality; it also boasts with its excellent workmanship and stands out due to its low weight and stability – a combination that is particularly valuable in mobile use. 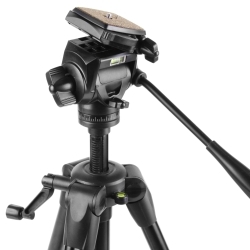 The tripod is suitable for photography and video recordings and possesses a scaling under the ball head, which makes the tripod the ideal equipment for panorama panning. Leveling the tripod is facilitated by two spirit levels and one bubble level. 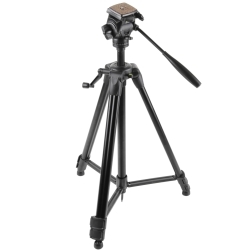 The tripod head is removable and can be combined with other tripods. 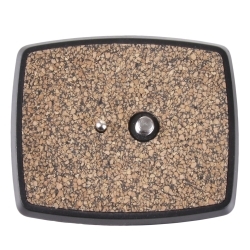 The quick-release plate has a cork coating, which prevents the camera from turning out of position. On the center column you can find a useful hook which allows you to attach a weight for stabilization or to hang the carrying bag. 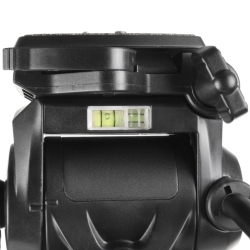 The tripod’s maximum load capacity is 4kg, making it perfect for use with compact or SLR cameras. The convenient carrying bag makes the lightweight tripod your mobile companion. Number of Gummed Leg Segments 0St.